​Packers fans held their collective breaths on Sunday as Aaron Rodgers exited during the middle of the second quarter of the season opener against the Bears. Seemingly out for good with an apparent knee injury, Rodgers returned in the second half to deliver an incredible comeback victory. Now, Rodgers' injury status is day-to-day, but he will not be a full participant in practice today. #Packers coach Mike McCarthy says Aaron Rodgers will work in rehab group today. Not a setback. Says it’s day by day. ​​Head coach Mike McCarthy is understandably playing it safe, giving ​Rodgers until at least the end of the week to get ready. Minnesota is surely a tough opponent for the former MVP, even should he be at full strength. 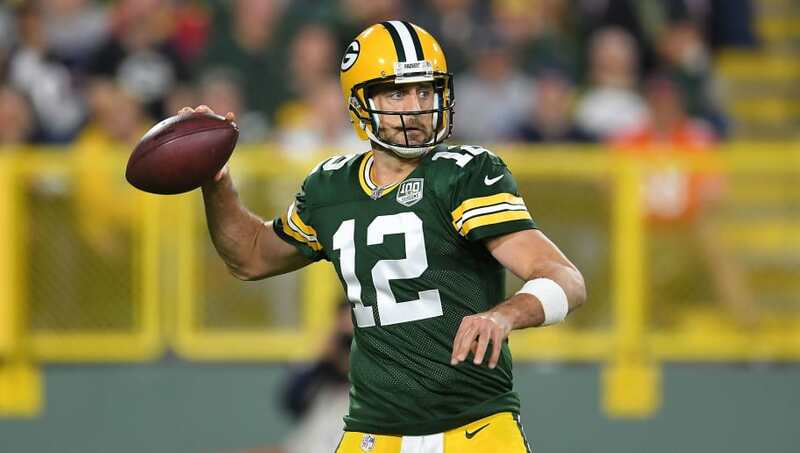 ​​In the ​win against Chicago, Rodgers was in typical Rodgers mode upon his return, dismantling the Bears' defense, which did a stellar job against the Packers in the opening two quarters. For the game, Rodgers totaled 286 yards and three touchdowns, completing 20 of his 30 passes. Obviously the Packers would love to have their two-time league MVP back sooner than later, but right now they're doing the right thing by not rushing him back onto the practice field.